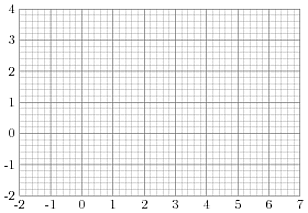 I have the following TikZ code which draws a grid and shows the coordinates. To display the coordinates I am using the loop foreach. Bonus: How can I set a larger line width for the help lines at the integer coordinates (see picture above)? The sneaky trick is to use the fact that the to path declaration can contain arbitrary code via a \pgfextra command. With that, it's just a matter of grabbing the starting and ending coordinates (which are encoded as \tikztostart and \tikztotarget) and then using your original code (which I assume you were reasonably happy with) as the code to be executed. The extra bits, and the stuff with the @s, is for processing the coordinates to figure out where to start and end the labelling. The assumption is that we start at the first coordinate and work our way up according to the major step separation to the second coordinate. So we need to process these coordinates to extract that information. This means that the coordinates to the command can be any TikZ coordinate: we use \tikz@scan@one@point which is how TikZ itself parses coordinates. One thing to note is the use of \pgfmathprintnumber to ensure that the labels are printed nicely. Not exactly what you are looking for (no subgrid) but coordinates are shown. The subgrid can be added with the same idea, but it goes too far... I don't know how to access to the upper right corner x coordinate: \tikz@lastx is set to 0.0pt inside the moveto code. I am sorry but there's no easy solution. First I tried using a to path but that doesn't let you change the line style:-( Next I tried implementing a dedicated command. This time the main problem is that in order to iterate over the coordinate labels, the labels should be integral, which isn't true in general. The following should work, but it requires coordinates consisting of two integers each; rationals and labels are not allowed. It should be possible to implement a macro that takes more general arguments but that would take too long. 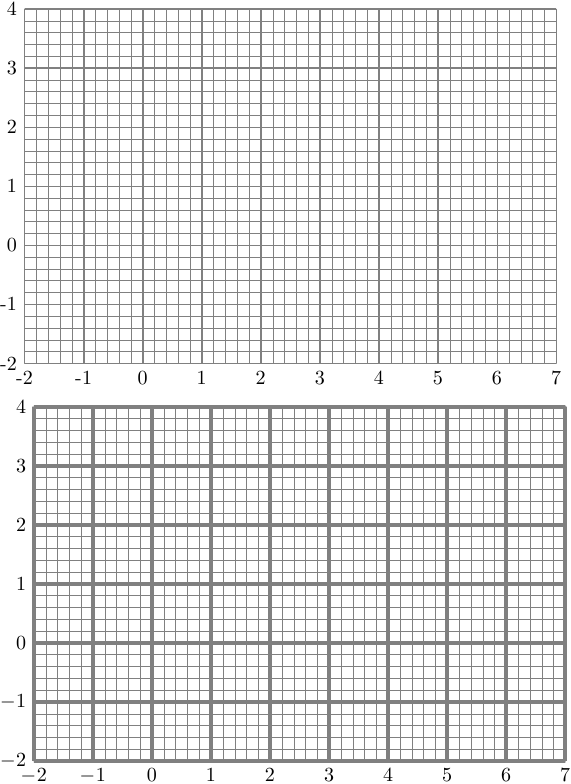 Is there the easiest way to toggle (show/hide) navigational grids in TikZ?